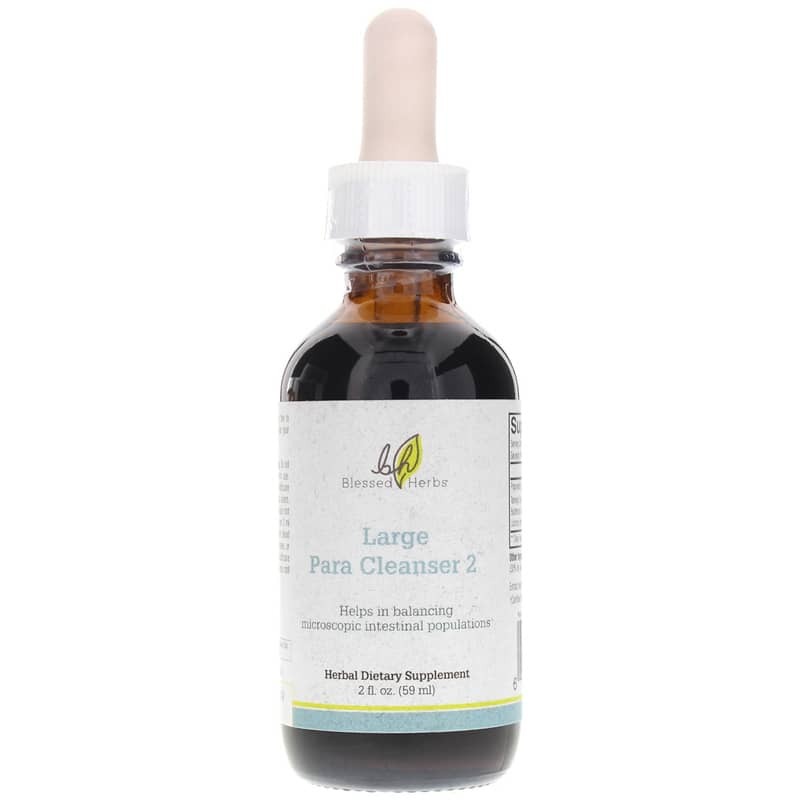 Large Para Cleanser 2 by Blessed Herbs is an herbal dietary supplement that provides support for balancing macroscopic intestinal populations and expelling parasites and unwanted guests. Other Ingredients: Distilled water, organic grain alcohol* (30% by volume) and vegetable glycerin. Adults: Take 90 drops (approx. 3ml), two to three times a day. Shake well before using. Do NOT use if you are pregnant or nursing. Do not exceed recommended dose. Not for long term use. Because of the ginger root, consult your healthcare practitioner before using if you have gallstones, peptic ulcers, or take anticoagulant or antiplatelet drugs. The licorice root has a glycyrrhizin content of 1 milligram or less per 3 ml dose. Taking amounts of 100 milligrams/day or less have been found free of adverse effects. As a precaution, those with diabetes, high blood pressure, hypokalemia, heart, kidney or liver disease, or taking heart medications, should ask their healthcare provider if this low level of glycyrrhizin in the licorice root is safe for them to take. Keep out of the reach of children.